At Temple Beth Shalom we value our learners at every age and stage of their lives. Our youngest learners come together to celebrate Tot Shabbat and learn in our Torah Tots programs. School age children participate in Religious and Hebrew school programs offering various choices for our busy families lives, as well as family education opportunities throughout the year. Adult learning opportunities vary throughout the year and are geared to meet the needs of young and old alike. Attend a family service on the first Friday of the month, study Talmud at a coffee shop in Austin or join the conversation every Shabbat morning at Torah study! New classes, book clubs as well as women's and men's learning opportunities are being offered every year based on our community's interests. Tell us what you are interested in learning about and together our growing community of learners will become your guides, your teachers and your friends. 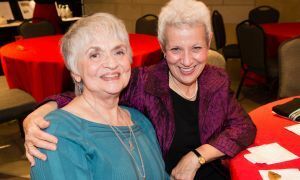 Temple Beth Shalom is a learning community based on a partnership between professionals and our congregants, as well as congregants in cooperation with one another. This partnership leads to all learners as active contributors to their Jewish development while encouraging increased participation in the learning process. Our learners are as young as infants and they remain with us throughout their lives. Learning the skills for living a Jewish life is an essential component of Religious/Hebrew education. By learning the values embedded in Shabbat, Holidays, communal religious events and home based rituals, as well as the skills needed to celebrate them, our children will develop into Jewish adults ready to make informed choices about their lives. Jewish living often occurs outside of the boundaries of "Jewish time," therefore we provide our students with values-based learning that transcends their lives. Living a Jewish life is relevant and meaningful in the 21st century. As a Reform community we believe in informed choice through knowledge, therefore we regard Jewish learning as essential, beginning at an early age. Living a Jewish life becomes relevant and meaningful when we understand the choices we are making on a daily basis and those choices become Jewish choices.